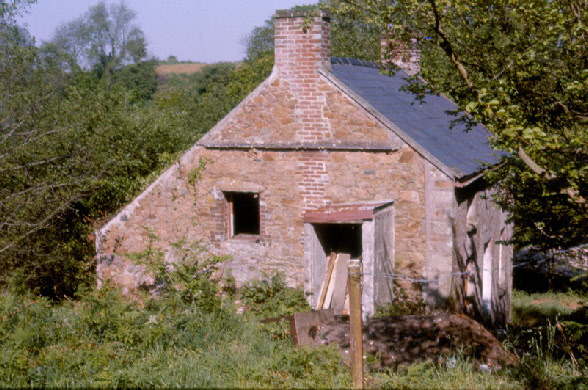 In 1976, Nigel and I discovered the cottage whilst walking with the dog one day. As we walked up through the valley we came across an old cottage with dirt floors, no windows or doors and no electricity or water. 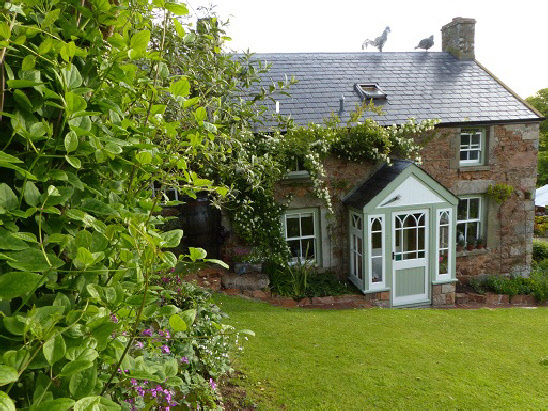 Originally built as a farm worker’s cottage, with two rooms downstairs and two upstairs and an outside toilet. Despite the bad state of repair and the piles of rubbish all around we fell in love with it. Luckily a man who was gardening at the house at the top of the lane knew the name of the lady who owned the cottage, so we wrote her a letter and asked if there was any possibility that we could buy it. We married in 1977 and since that time we have worked tirelessly to create what you see today. This photo was taken just after we started the renovation and shows the state of the house and garden - in the centre is the outside toilet. In 1981 we built an extension and, a few years ago, completed the oak framed garden room. Our exterior woodwork is painted with Valtti Opaque,. Most of the colours have Finnish names, but our green colour is romantically named “X50”. Facing west, is the patio, which is a sun trap on summer evenings; if only we had time to sit and enjoy it ! 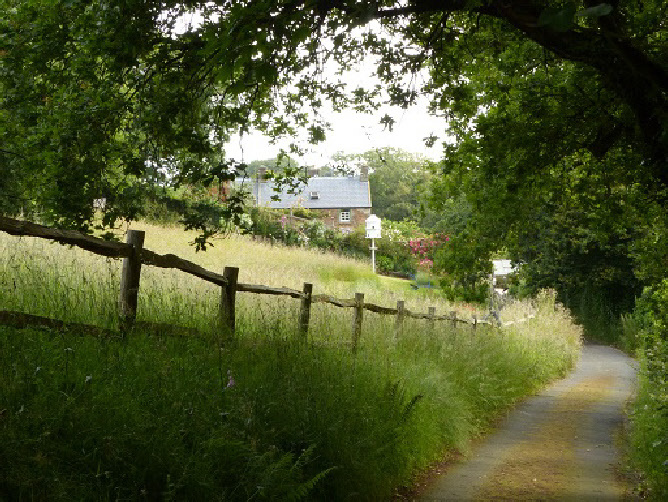 Accessed only by a small country lane, the valley is secluded and peaceful.